While I think Romney would make a good president, he is way off base on this one. Almost every president has had some business-related experience. Even Barack Obama, whom Romney sought to criticize with this statement, has worked in a law firm. But having business experience doesn’t necessarily distinguish good presidents from bad ones. Sienna College Research Institute surveyed 238 presidential scholars to create a ranking of the top presidents. Of those the academic experts put in the top 10, six had some business experience. Abraham Lincoln started a general store, Harry Truman was a haberdasher, and James Madison, James Monroe, Thomas Jefferson and George Washington were planters. Among those presidents with business experience, the successful ones don’t appear to be better at running the U.S. than unsuccessful ones. Both Lincoln and Truman ran businesses into the ground, but made it into the top 10. In fact, many of the presidents who were most successful in business don’t rank very high among the nation’s 43 chief executives. Consider Warren Harding, who ranked only two places from the bottom of the list. Yet before his 20th birthday, he borrowed money to buy a failing newspaper that generated income for the rest of his life. Herbert Hoover, a manager of a mining company, and George W. Bush, the first president with a master's in business administration degree and millionaire owner of the Texas Rangers, are both ranked in the bottom 10. And Jimmy Carter ranks only 32nd, even though he built a multimillion-dollar business from a family farm. Fred Bernstein, emeritus professor of political science at Princeton University and author of numerous books on the presidency, says political and communication skills, organizational effectiveness, emotional stability and vision characterize successful presidents. While business experience can help develop these attributes, they can be formed in other ways, as well. Consider vision, which presidential historian Arthur Schlesinger says is “the capacity to inspire.” Being an entrepreneur or manager might help develop the “vision thing,” but Ronald Reagan, Woodrow Wilson, and Theodore Roosevelt acquired it through other experiences. Another key skill is the ability to organize, which Bernstein says includes the “ability to forge a team and get the most out of it, minimizing the tendency of subordinates to tell their boss what they sense he wants to hear, [and developing] proficiency at creating effective institutional arrangements.” Once again, this skill can be developed in the private sector, but it can be learned through other experiences, too, such as being a governor or running a university. 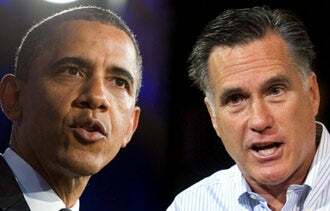 Romney’s justification for why presidents need business experience isn’t terribly persuasive. He said that those with substantial business experience “would understand that the policies they’re putting in place have to encourage small business, make it easier for business to grow.” While business experience could be valuable, it certainly is possible to understand how policies will help small business without having run a business, just as it is possible to understand how to defend the country without having served in the military. To the extent that business experience does matter, the Republican challenger needs to be careful. Big business and small business are very different. 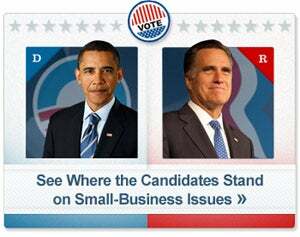 Romney’s big business experience may have taught him little about what it takes to enhance small business performance. In the business world, if your customers reject what you are selling, you need to move on quickly to something better. Romney might want to draw on his business experience and make that shift here.